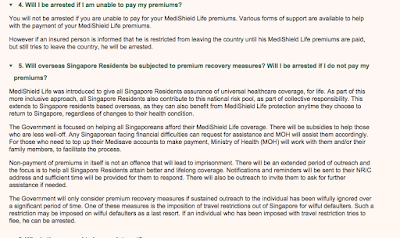 My older son lives in Canada now and while he has Permanent Residence status in Canada, he is still a citizen in Singapore and he too will have to contribute to this Medishield Life scheme. 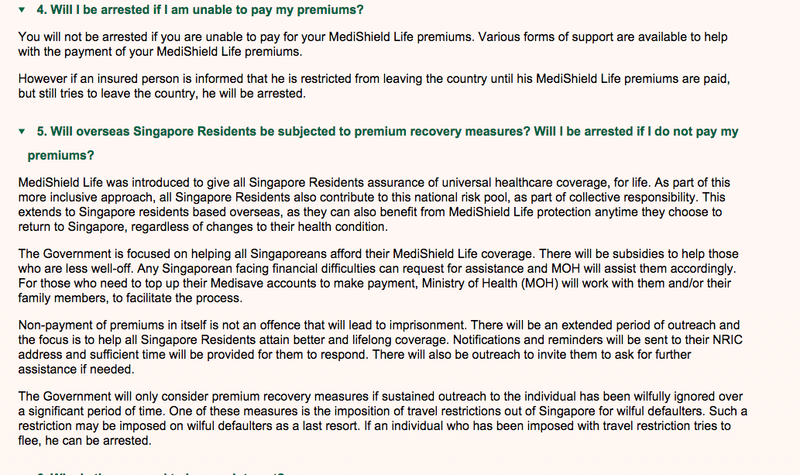 You will not be arrested if you are unable to pay for your MediShield Life premiums. Various forms of support are available to help with the payment of your MediShield Life premiums.